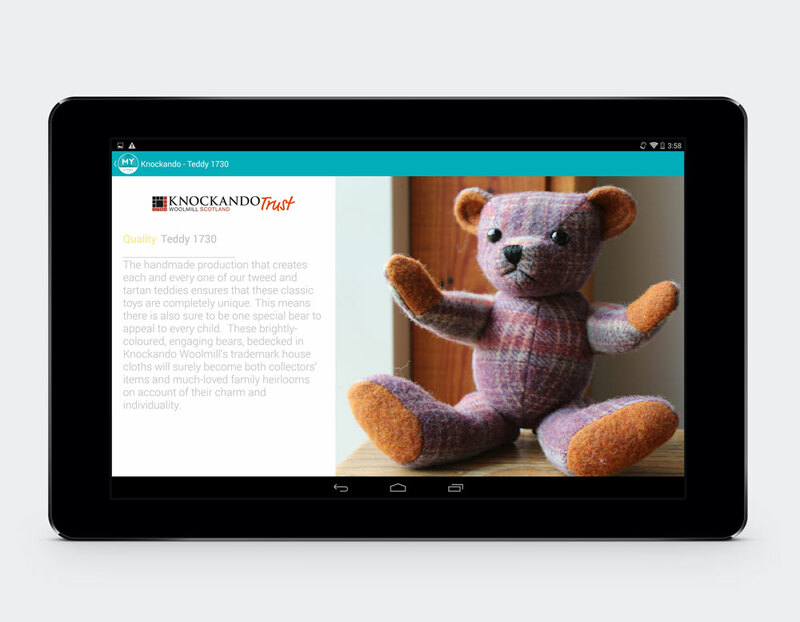 MyStory is a new app being developed by Big Sky that helps products to tell their story using cutting-edge technology. MyStory is a new app being developed by Big Sky that helps products to tell their story – how they were made, who by, and why – as a way of adding value and interest. Using cutting-edge technology it enables mobile devices to ‘talk’ instantly with products that carry the MyStory label, linking to value-added, bespoke marketing material and mobile point-of-sales. To create MyStory we have brought together the skillsets of several partners: the technical knowledge of Linknode, the design skills of Pulse North, the marketing/PR insight of Greg Gordon, and the product design and retail experience of Knockando Woolmill. Knockando Woolmill have developed a fantastic product range that sits comfortably and recognisably alongside other high-end quality market brands. They’ll use MyStory to help ensure their distinctiveness is visible - a practical way of providing additional market-place profile. They have identified demographic target markets in the UK, and also a geographic market (Japan) where there is great interest from potential buyers. 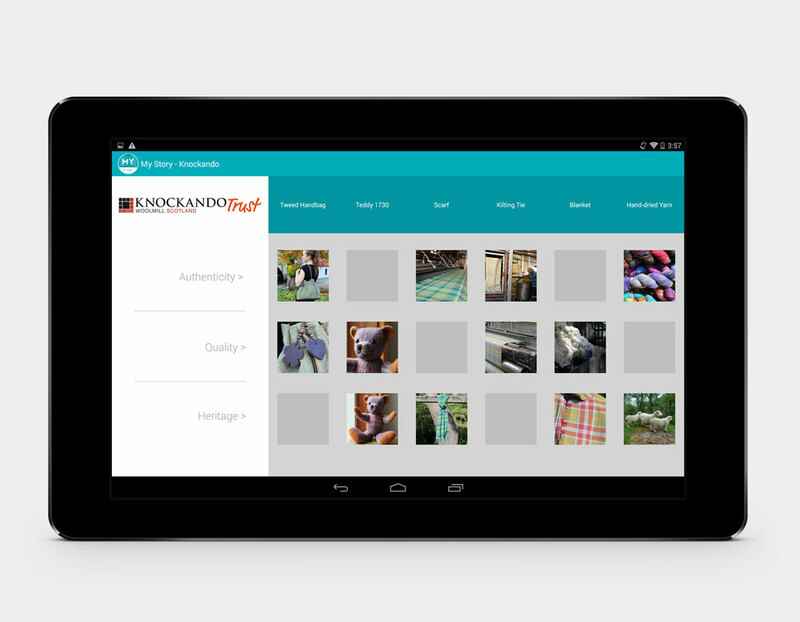 MyStory provides an easy and memorable way of demonstrating the unique aspects of what Knockando products offer. Their three core values – Authenticity, Heritage, and Quality – are reinforced through the MyStory app that is activated automatically when a mobile device (phone/tablet) touches the product’s label. The device immediately displays information – video, images, text – that reinforce one of the Knockando three core values, bespoke to that product e.g. how it was made, why that design was used, what historical significance it has, and what other similar products may be of interest.